SOUTH SAN FRANCISCO, Calif. (KGO) -- Firefighters are investigating after a truck and train caught fire on railroad tracks near Highway 101 in South San Francisco. 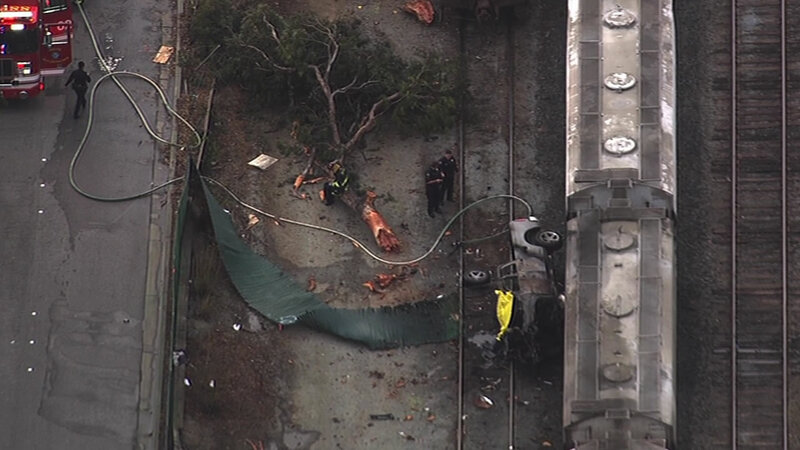 The crash occurred in South San Francisco near 121 East Grand Ave. Witnesses say a truck went through a fence and into a Union Pacific Storage yard where it burst into flames. Fire crews have put the fire out. The driver of the truck was killed. The accident slowed Caltrain service in the area, since Caltrain uses the tracks. Firefighters were on the scene of a car crash and fire on railroad tracks near Highway 101 in South San Francisco, Calif. on Friday, December 18, 2015.